A “lack of command and control” on the part of South Sudan’s government, just days after signing a new peace agreement to end years of brutal civil conflict, is one of the factors, which led to the shooting of a United Nations peacekeeper on Saturday, the UN mission chief in the country has said. Special Representative David Shearer, who heads UNMISS, said in a statement that a Nepalese peacekeeper was shot and wounded by a government soldier early in the day. The peacekeeper was part of a convoy travelling near the town of Yei, in Central Equatoria. A government SPLA solider had begun shooting in the air near the UNMISS convoy of four vehicles, including two water tankers, UNMISS said in a statement. “The soldier then shot directly at one of the vehicles, hitting the Nepalese peacekeeper in the leg, and ran off into a crowd. The troops were unable to return fire as they did not want to risk injuring civilians,” said UNMISS. 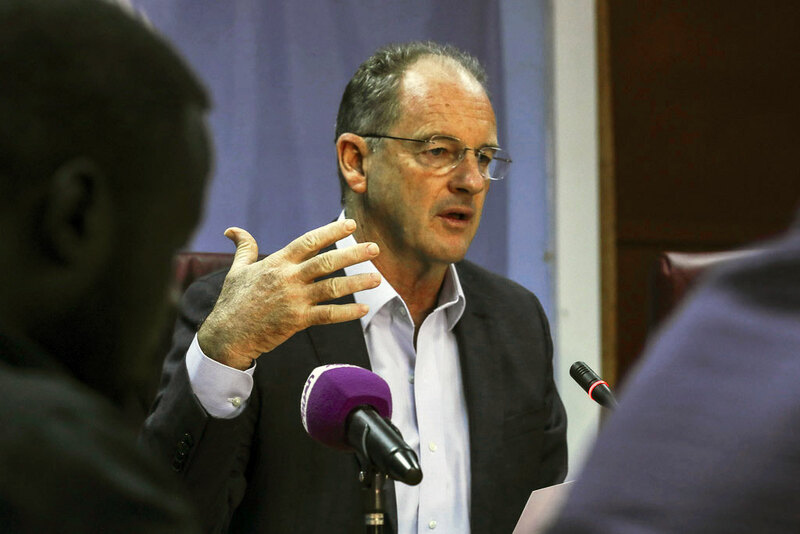 This situation is evidence of a lack of command and control of armed forces which has resulted in unruly elements who continue to commit human rights abuses in the area – UNMISS chief, David Shearer said. The Saturday attack follows reports of fresh clashes between government and opposition forces in the area surrounding Kajo-Keji in Central Equatoria. The Ceasefire and Transitional Security Arrangements Monitoring Mechanism (CTSAMM) has confirmed that it is investigating alleged violations of the ceasefire agreement in the Yei area. Prior to the wounding of the peacekeeper today, Government soldiers had fired approximately 50 shots, about 500 meters from the UN base in Yei. On Thursday, President Salva Kiir shook the hand of his longtime rival and former Vice-President, Riek Machar, in the Ethiopian capital, Addis Ababa, as hopes rose that despite failed agreements in the past three years, lasting-peace across the world’s youngest country, may finally be possible. Posted by Khalid Al Mouahidi on September 17, 2018. Filed under News. You can follow any responses to this entry through the RSS 2.0. Both comments and pings are currently closed.